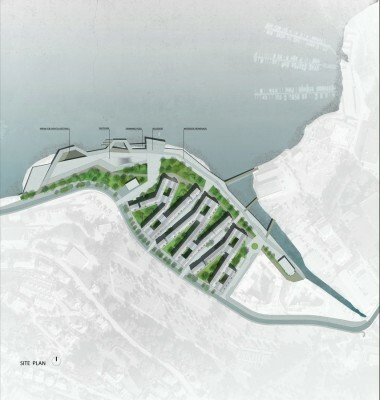 The project area is situated in a unique area of Bergen in Norway. 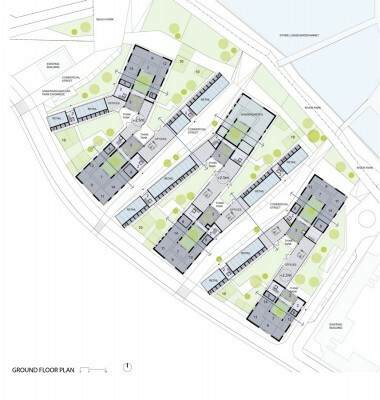 Located just outside the historic city centre on the south side of Store Lungegårdsvannet near the Møllendal River, the site has a long history as an industrial area, including milling back to the Middle Ages, and storage for the city’s technical department in recent times. 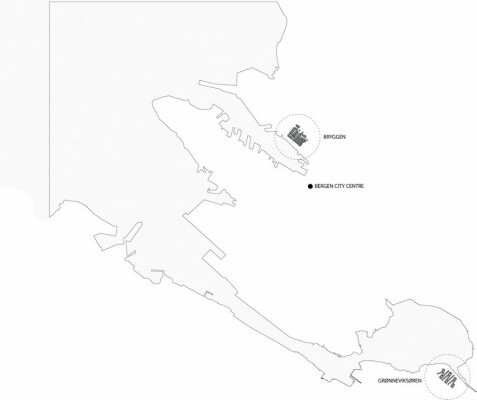 Much of the Møllendal area has for decades been inaccessible and unsuited for public use so making a fracture between two parts of the town. 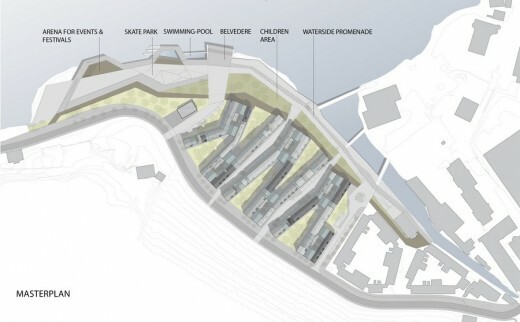 The project aims to reconnect and to give continuity to a new territory exploring transitions between land and water; the goal is to create the conditions for regenerating the area into an attractive and active waterfront neighborhood. 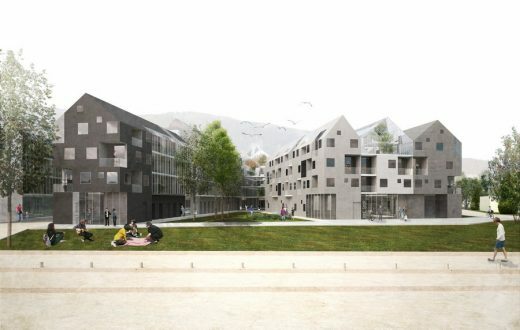 It will be linked to the city centre via a continuous park, where a new residential district of Møllendal emerges with a new role in the cityscape. 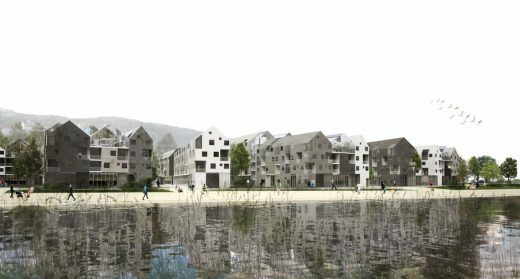 Looking for new ways of the urban and architectural design, the project explores the theme of the “adaptable city” meant as need of sustainable development of the town in a context of economic crisis of the European cities. 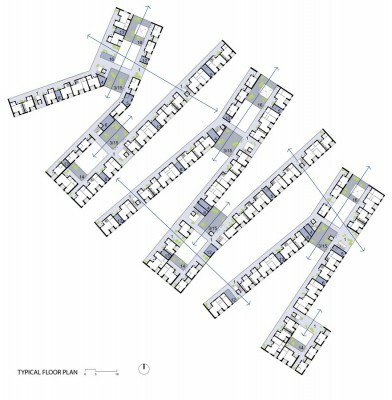 By taking account of this overall theme, the work shows a self-sufficient residential district which encourages more self-organization, social relationships and culture of sharing spaces and functions. 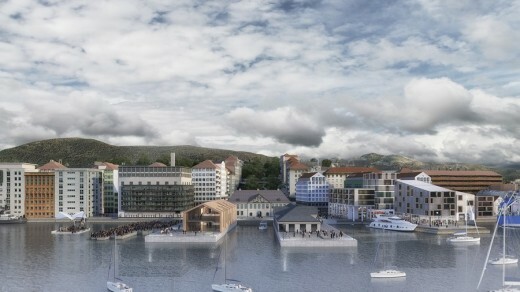 The designed idea takes inspiration from the local typologies of the oldest part of the city of Bergen, named Bryggen, Unesco World Heritage. 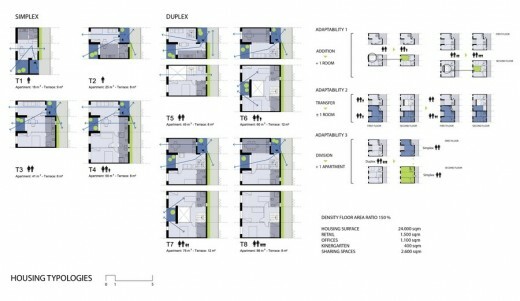 The result is an equilibrate sequence of long housing blocks, small yards, intimate patios, privates and public spaces.